This makes 1 3/4 cups, and will keep a long time in the fridge. Spread 2 tbsp of the dressing on one of the bread slices (we put it on both sides). 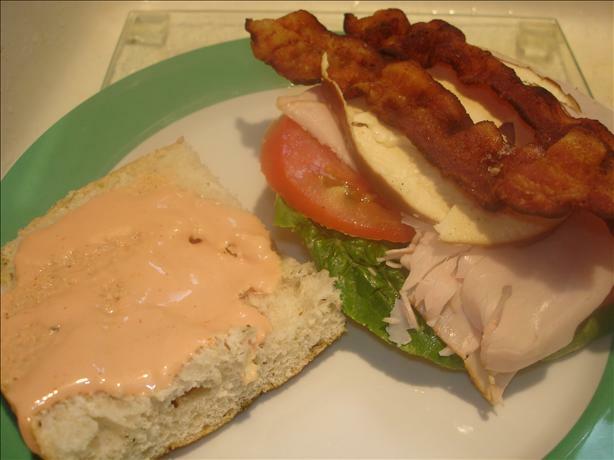 On top of one slice of bread, layer lettuce, tomato, turkey, Gouda, and bacon. Top with the second slice of bread and serve.